Compugen today said clinical trials will be launched for a pair of its cancer immunotherapy candidates targeting advanced solid tumors—its lead immuno-oncology program targeting PVRIG, which had been in clinical hold since April, and another program targeting the ILDR2, or immunoglobulin-like domain-containing receptor 2, protein whose development will be overseen by Bayer. Compugen said the FDA has lifted the clinical hold on PVRIG-targeting COM701 that the company disclosed on April 27, saying the agency requested additional chemistry, manufacturing, and control (CMC) information in support of its Investigational New Drug (IND) application. Under the IND, Compugen plans to initiate a first-in-human Phase I study in patients with advanced solid tumors and for whom standard of care therapies are currently ineffective. The trial will be designed to assess the safety, tolerability, pharmacokinetics, pharmacodynamics, and preliminary efficacy of COM701, both as monotherapy and in combination with a programmed cell death protein 1 (PD-1) inhibitor. The Phase I trial is planned to be conducted at multiple centers in the U.S., Compugen said, adding that site initiation activities are currently underway. “We are excited to initiate patient dosing with COM701 in a multicenter Phase I trial, early in the fall,” Compugen president and CEO Anat Cohen-Dayag, Ph.D., said in a statement. The PVRIG pathway, he said, is part of a larger complex immuno-oncology biological axis involving the TIGIT and PD-1 pathways. “We are confident we are the only company with an anti-PVRIG candidate available for clinical testing, either as a single agent and in combination with a PD-1 and TIGIT inhibitors,” Dr. Cohen-Dayag added. COM701, formerly CGEN-15029, is a humanized hybridoma antibody that binds with high affinity to PVRIG, a novel B7/CD28-like immune checkpoint target candidate discovered by Compugen, blocking its interaction with its ligand, PVRL2. According to the company, the blocking of PVRIG by COM701 has demonstrated potent, reproducible enhancement of T-cell activation, consistent with the desired mechanism of action of activating T cells in the tumor microenvironment to generate antitumor immune responses. 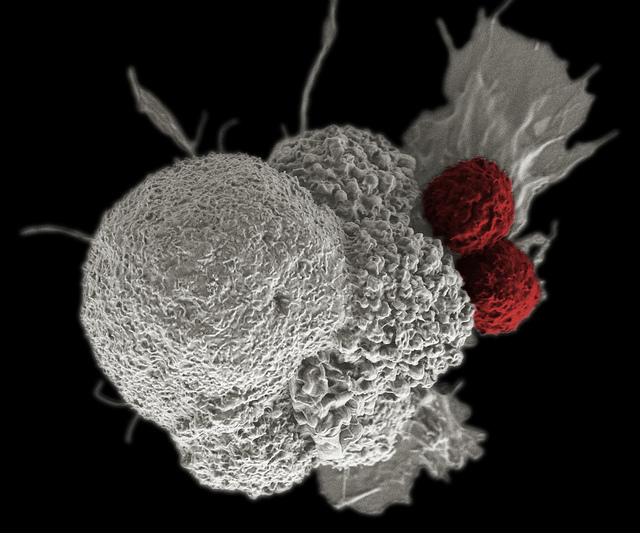 In addition, COM701 combined with antagonist anti-PD-1 antibodies has demonstrated synergistic effects on human T-cell stimulation, indicating the potential of these combinations to further enhance immune response against tumors, Compugen said. Separately, Compugen disclosed that the FDA has also cleared the IND application by collaboration partner Bayer for BAY 1905254, a first-in-class immuno-oncology therapeutic antibody targeting the ILDR2 protein in patients with advanced solid tumors. Compugen said it is entitled to receive a milestone payment—it did not disclose the amount—upon the first patient dosing with BAY 1905254 in the Phase I clinical trial, which is expected to be launched later this year. BAY 1905254 is a novel immune checkpoint inhibitor for cancer immunotherapy targeting ILDR2. BAY 1905254 is a human/mouse cross-reactive antibody designed to block the immunosuppressive activity of ILDR2. BAY 1905254 has exhibited antitumor activity as a monotherapy in various mouse models, and was also shown to have additive antitumor effects in combination with other cancer therapy approaches in those models, indicating the possibility for multiple combination uses in cancer immunotherapy. According to Compugen, studies testing the immune function of ILDR2 have demonstrated inhibitory effects on T cells consistent with it being an immune checkpoint ligand. Additional expression and functional studies suggest that ILDR2 acts as an inhibitor of the priming step of T-cell activation, thereby muting T-cell response to cancer. BAY 1905254 is a novel immune checkpoint discovered by Compugen through its predictive computational capabilities, which are designed to enable the discovery of new drug targets and biological pathways. Under an up-to-$540 million-plus collaboration launched in August 2013, Compugen and Bayer jointly pursued preclinical research advancing BAY 1905254, while Bayer is now responsible for clinical development of the candidate. BAY1905254—formerly known as CGEN-15001T—is one of two programs on which Bayer and Compugen agreed to partner under their agreement; the other was CGEN-15022, rights for which Bayer returned to Compugen in July 2017, after a joint assessment “suggested that its potential to serve as a key immune checkpoint for the treatment of cancer immunotherapy may be limited and does not justify further investment,” Compugen said in a statement at the time. Under their agreement, according to a regulatory filing, Bayer agreed to pay Compugen up to $30 million in aggregate preclinical milestone payments for both research programs.